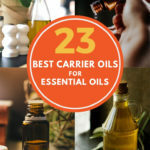 Best Carrier Oils for Essential Oils- Discover 23 of Them! 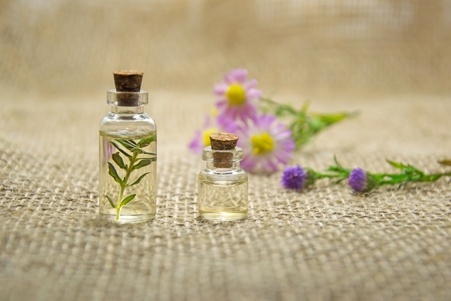 As a user of essences, I like to blend scents and create mixtures that can help me with bug bites, reduce some scarring I have from past injuries, and my favorite, mixtures that relax me thoroughly. Let’s face it, one scent can work wonders but a blend- well, that’s just an insane amount of power toward our health and well-being. The fact is- these scents are volatile compounds, and some of them are very potent. They need to be diluted in a good carrier substance before they are applied topically because they can cause some irritation, depending on the oil. But, before we set out to list the top dilution substances for your scents, let’s take a look at some vital information. Before we start asking ourselves what is a good carrier for essential oils, it’s best to know what kind of oil we are dealing with here. In the truest sense of the word, these substances are vegetable oils, and it is in these substances that volatile compounds extracted from a plant host can easily break down and blend for topical use and ingestion. 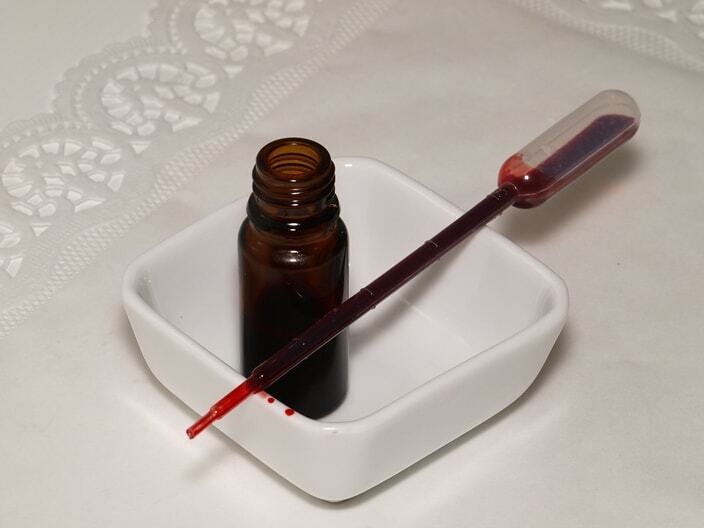 For my blends and singles, I like to use a one-ounce dark dropper bottle, which you can find online or in a health food store. I put a few drops of the scents I want to blend into the bottle and then top it with one of the bases listed below. I usually use several types, and it’s not a bad idea to indulge in some of them. So, let’s start and do it alphabetically. I have been using this oil for a little over a month now and have to say that I love the way it makes my skin feel. It not only smooths it out, it gives it a nice glow. It cleans the skin and helps remove dark spots. If you are a sufferer of eczema or psoriasis, then this lipid is a good choice for your blends. Rashes have no chance with sweet almond, and aging skin will look refreshed. Adding a little lavender and frankincense to this solvent can create a powerful skin treatment. Did you think that the kernel from an apricot could hold such an amazing base of blends that will bring you a wealth of benefits? I didn’t until I learned that the oil from this little seed works as a moisturizer and eases inflammation. It is an ingredient in many cosmetics like exfoliators and masks due to its ability to improve our skin. This oil is used for cooking and carrying essential oils. It is extracted from a Moroccan tree, which has a variety of benefits. Known scientifically as Argania spinosa, it can also be found in some North African nations. It is used as an aid in skin care, promotion of heart health, proper digestion, wound healing, repair of split ends in your hair, protection from UV rays, and can even bring your cholesterol levels back to a healthy number. One of my favorite things to put on toast, the oils from this fruit has a wealth of benefits to offer us when mixed with our scents. It can protect yourself from sunburn, eases diseases of the skin and wounds, regrows hair where it is applied, and it is a great anti-inflammatory. Added benefits include healthy eyesight and weight loss. This is a new one for me, but it seems that this oil with the interesting name is a variety of palm oil that is extracted from nuts on a tree only found in Brazil. It works as a moisturizer, has anti-inflammatory properties, balances the skin whether oily or dry, breaks down free radicals, protects the skin from toxins while healing wounds, and can even help with those split ends. Some folks use it as a conditioner for their hair, and it moisturizes scalps that may be dry. Derived from a small purple or white flower that grows in western Asia, the Middle East, and Eastern Europe, this oil isn’t exactly pulled from the flowers but from the tiny black seed that their fruit produces, hence the name. It can aid with hair loss, work as an anti-aging agent, reduces high blood pressure, brings down high cholesterol, and can help anyone suffering from rheumatoid arthritis. When I see this name, I think of old television shows and movies when children were punished for behaving badly by being forced to take a spoonful of this oil. The faces those kids made had me believing that it tasted awful. However, when you look at the myriad of benefits, I may overlook that and give it a try. It’s a moisturizer, fades acne marks, improves overall skin complexion, promotes the growth of hair, and helps boost your immune system. Does anyone out there not have a jar of this substance in their kitchen? I do and have gone through many. I put it on my skin, use it as a finishing cream for my hair, and even cook with it. Slowly but surely coconut oil has been gaining on olive as the oil for good health. It’s no wonder since it helps in the areas of skin, hair, gums, teeth, heart health, weight loss, and stress relief. The name of this oil gives away its source, which is a bird that is found in Australia typically. Its oil is found below the skin and most likely extracted when they butcher the animal for its meat, which is also popular. It moisturizes, has anti-inflammatory properties, stimulates the skin, heals wounds, repels bugs, treats ulcers, and can reduce your cholesterol. The last one is odd since it is the fat of an animal, which is enough to make me reconsider using it, even though I am a carnivore. I love the name of this oil. It makes me think of a starry night in a garden. The plant they extract this oil from has the same name and can help you with eczema, acne, and psoriasis. It has been used for heart disease, high cholesterol, alcoholism, schizophrenia, and Sjogren’s syndrome. Here, we have an oil that is high in Omega 3 fatty acids, which are important for health and maintaining homeostasis. It can be a great source of strength to the aging brain and can also benefit your heart. It can help get your bowels moving and give your skin an amazing glow. It can be added to your smoothies or used as a base for a topical treatment you create with your singles. Omega-6-fatty-acids are high in this oil, and it seems great for the skin and your hair. It has a great deal of vitamin E in it, and it has been used to treat acne, shrink pores, lessen the appearance of scars, and even to remove makeup. It should be noted that it is extracted in chemical solvents, which might leak into the final product. With the wide legalization, whether medical or recreational, of cannabis in the Americas recently, it isn’t surprising that this oil made our list or that it packs a wealth of health benefits. Your hormones will spring back into balance, and when applied topically, this oil will regenerate the outer layer of your skin as well as energize it. Cholesterol is lowered, and immune systems get a boost when someone uses this oil as well as a prevention of varicose veins. One of my favorite bases for blends jojoba is packed with good stuff. When you apply it topically, your skin will look great, and it does wonders for the hair. It is one of the few lipids that carry vitamins, E in the case of jojoba. It works great when applied before shaving if you want to avoid razor burn, and it works as an antifungal. A favorite snack of mine, this vehicle for your scents promotes a healthy heart. It lifts your energy levels up and works as an antioxidant. It works great on the skin and reduces oxidative stress. This lubricant works as a moisturizer and an anti-inflammatory, which is a great combination for shaving. First found in the Himalayas and the north-western Indian countryside, moringa bases fight acne, heals sores, works well with dandruff, has anti-aging properties, and contains vitamin C. Your hair will be stronger and your energy levels will rise. In addition to all of that, it can help protect your bones and ease your nervous system. One of the oldest remedies in the world, the extracts from the Indian lilac has been used for its health benefits for nearly 5,000 years. Hair loss, dandruff, itchy scalp, frizzy hair, split ends, and lice are just the hair advantages. It moisturizes dry skin, reduces pigmentation, treats eczema and psoriasis. Neem is an antifungal, anti-aging, and an oral health powerhouse. I may be third generation American, but I am of primarily Italian descent, which played a big part in my upbringing. That said, it goes without saying that olive oil has been a regular part of my life since before I can remember. The benefits that come with using this as a food and a topical treatment are immense. It has antioxidants, is an anti-inflammatory, promotes heart health, may aid in the fight against Alzheimer’s, and could lessen your chances for type 2 diabetes. Extracted from rose bush seeds, this base moisturizes, diminishes the appearance of wrinkles, makes your skin look brighter, evens out the tone on your face and makes it firm. You can lessen the scars on your skin and exfoliate along the way. The kernel of a Southeast Asian fruit tree is the source of this strong base for your scents. It can give your immune system a much-needed boost and soothe any irritations on your skin. It accelerates the healing process while relieving you of pain. Tamanu even helps get rid of body odor and makes that diaper rash go away. I like putting this on my halved grapefruit but little did I know, inside that germ is a compound that awaits to be served as a base for our lavender or ylang-ylang oils. As an aid, it stimulates cognition, promotes a healthy heart, makes the hair stronger, gives energy, is anti-aging, and can get rid of that nasty acne. We mentioned the benefits of this base, but we covered the kitchen version, which is solid at room temperature. Several companies like doTERRA and Plant Therapy make their own that they refer to as fractionated, which means that is in liquid form. This is achieved when the long-chain fatty acids are removed. This Young Living product is a popular choice for blending their many extracts offered for aromatherapy. Created specifically for massage therapy, this is a blend of fractionated coconut, sesame seed, grape, sweet almond, wheat germ, sunflower, and olive oils. Plant Therapy seems to be all about the bases, and this product is proof of their expertise. Near Perfection is a blend of almond, jojoba, avocado, tamanu, and added vitamin E. It was created to aid in the reduction of skin imperfections like scars. It soothes and carries all the benefits of each added oil. Our scents are a big part of our lives. We want to wear them but that can be difficult, depending on the essence. They are volatile compounds, which means that there is a lot going on inside these little dark bottles. It’s always a good idea to dilute them according to a percentage of no higher than 5%. Once you find a base for your extracts and learn how to dilute those compounds, then you can start to get creative. Maybe you are interested in a mixture of rose oil with rosehip and add a little jasmine for added floral power. If you have a favorite base substance and would like to share your story, please leave us a comment below. If you have a friend or loved one interested in blends, then please share this article with them. Only through a network of friends and family will we reach a better mind, body, and soul.